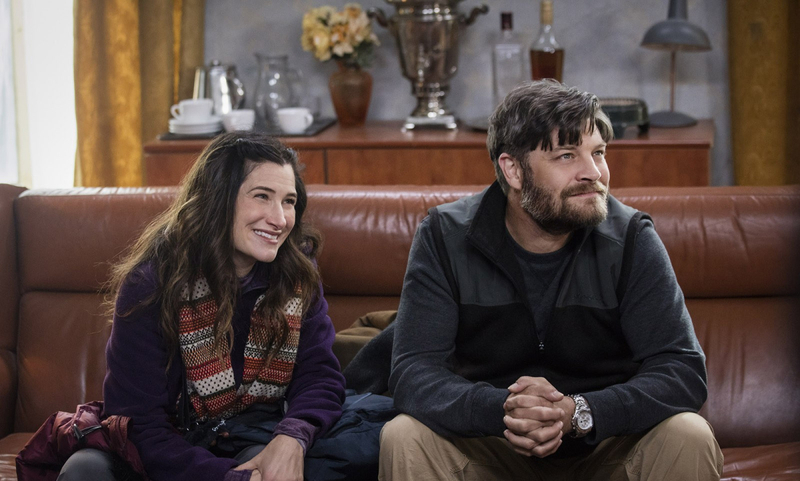 This, by our estimation, is the second best episode of Amazon Prime's The Romanoffs, but unfortunately, that's not saying much about "End of the Line". It features fairly engaging material involving a couple desperate to have a child engaging in grey-market adoption shenanigans in Russia, and the man and woman in question are appealing and sympathetic as leads. The script also approaches "crackling" in places, as these potential parents begin to fight over how far they're willing to go and what compromises they're willing to accept for their child, as the adoption environment itself plays on their paranoia and prejudice. Unfortunately, all this is betrayed by what has become as much of a Romanoffs trademark as it's nebulous connection to the titular theme; uninspired directing and editing. Hey! Do you need a great gift for a hard to please Game of Thrones fan in your life? Aron's book new book, "Gods of Thrones", offering a humorous and informative examination of the faiths, cults, and sects of the World of Ice and Fire is now available in paperback and e-book!